This is a six-week video series published by the Western Institute for Intercultural Studies. It came out in 2011, and I have only recently completed the course. I had my doubts about this series given that the Western Institute for Intercultural Studies also distributes Bridges: Helping Mormons Understand God’s Grace. The latter is geared towards Christians in helping them evangelize Mormons. While there is much good to that series, it seems quite hostile to any form of evangelism other than their sanctioned approach and it even went so far as to claim that Mormonism is not a cult! (You may read my critique of that approach here.) 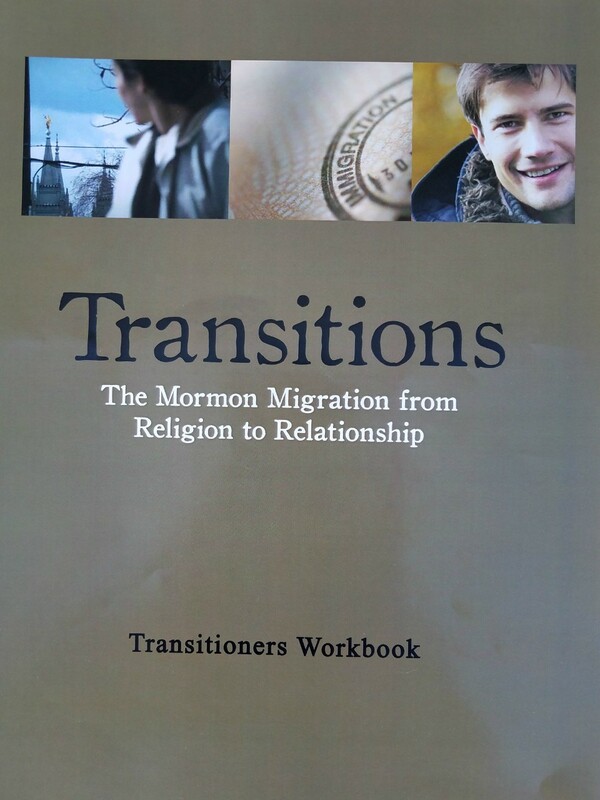 Transitions, on the other hand, is geared towards helping Mormon seekers into not just the Christian worldview, but specifically a local Christian church. A friend of mine remarked before I took the course that he thought the Transitions program was too soft of a sell. I, however, thought it was just right. It did not shy away from distinguishing traditional Christian thought with Mormon thought, and yet it did it in such a way that I found fitting to people who are undoubtedly nervous about even walking into some church that is not LDS. The theme, carried over from the Bridges series, is that the Mormon Church is rightly a culture unto itself. Those leaving that church to join another church are quite like immigrants, who go through all the tensions of migrating from one culture to another. Transitions affirms the immigrant that there is much good with the Mormon culture that does not need to be jettisoned (e.g., family values, work ethic, etc.). However, Transitions is also clear about preparing the immigrant for the new culture of traditional Christianity. That not only entails certain practices (e.g., some churches enjoy raising hands in singing to the Lord, some churches utilize liturgy, etc. ), but certain doctrines as well (e.g., creation out of nothing, monotheism, etc.). As such, Transitions offers the searching soul a welcoming place to experience a more exalted view of grace and the God who gives it. I have some nit-picky things that I disagreed with from either the workbook or from what particular individuals in the video claimed. These are irrelevant to the over-all purpose. The only substantial disagreement I have has to do with how short this series is. There are so many other important topics that could have and should have been covered. For example, conspicuous by its absence was any in depth discussion of feelings. The burning in the bosom is fundamental in LDS epistemology. As a result, if this subject isn’t adequately put into its proper biblical perspective, then transitioning Mormons may end up resting on their heart telling them to go back to Mormonism as a default after their exploration of the Christian Church culture. So that should naturally lead to even more discussions of Christian apologetics. Contrast the length of the program here to another popular Christian video series: DivorceCare. That program is more than double the time of Transitions. Obviously divorce as well as transitioning from one religion to another are typically similar traumatic events, and DivorceCare does a better job at offering more topics relevant to what the participant is experiencing than Transitions does. Having said that, I endorse the Transitions program for small group use at local churches. For information on ordering the program for your church, please see here.